Find out what reviewers think of the legacy game of village building and charm. The immortal Forever King has selected 6 citizens of Greengully to start a new village far from the Eternal City. Congratulations for being chosen! Your goal is to bring the greatest glory to the Forever King so you may rule the village in his name. After spending all day flying over the kingdom, the zeppelin sets down and the guards open the hatch for you and your companions. 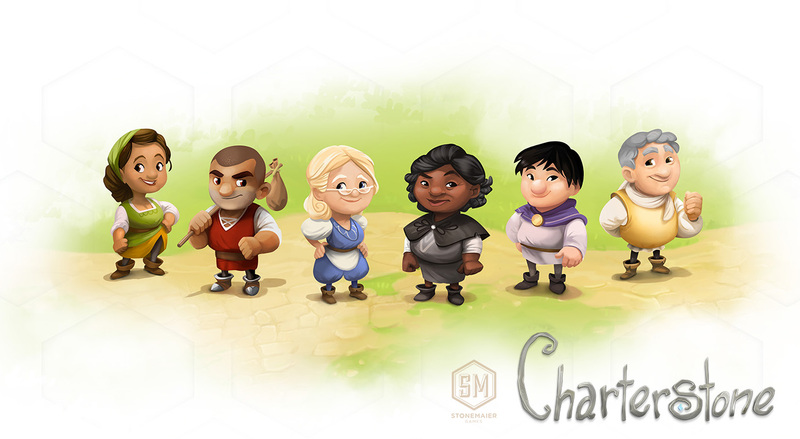 Your journey with Charterstone begins here! A beautiful worker placement experience of idyllic village building where your decisions will forever matter. The narrative unwound in a way that made us feel a bit like we were characters in a mythical […] Choose Your Own Adventure story, played out in cardboard. There are a lot of very clever consequences in Charterstone and that part of it — the reveals — might be my favorite elements of the game. How the story is unveiled, both physically, on the card, and as it is told, is exceptional. The artwork and components in Charterstone are all excellent… A solid worker placement game that will let you build things as you like. 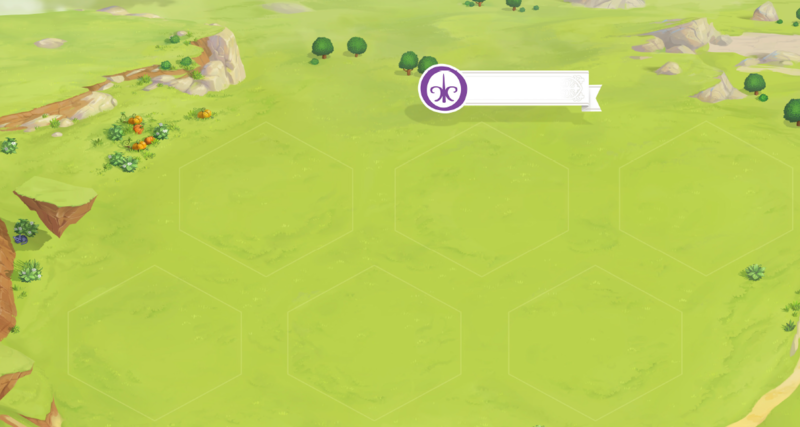 For players who love to be able to customize their strategies, and also watch things grow, Charterstone will be a hit. The focus of Charterstone’s permanence on systems rather than narrative has created a Legacy game I actually want to start over and play again. The journey and growth of your Charter and the rest of the board are as satisfying as the conclusion. I’m interested in grabbing a recharge pack and playing again for the same reasons that I’d start a new city in a game of SimCity. Yes I’m playing the same game, but I’m getting a completely fresh experience. A very solid, mechanically sound, euro-style worker placement game where as the game goes on you’re gonna get new choices, new buildings, new types of things that I’m not gonna mention, and the game changes. And for people that are looking for that experience and just want that euro-style experience without a big overarching story with no huge plot twists or anything like that you’re going to enjoy this game. Building is our favorite verb in gaming… so a game where what we build will stay forever has been kind of a holy grail for me and Jen. That’s where Charterstone comes in and it delivers. I am so over the moon. Our city that will be unlike anybody else’s city in the world and it’s unique to us. When we play on it it allows us to think back to events that happened during the building and the construction of this. It delivers in spades. Finished the campaign? The Charterstone Recharge Pack contains the components necessary for a second campaign of Charterstone. Re-experience your journey through this charming worker placement game of secrets and surprises. Charterstone is in stock at over twenty retailers in North America and Europe. Check prices now!